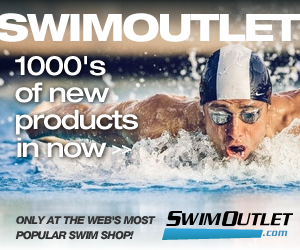 Many swimmers don't think about their cleaning ears since generally they won’t experience a buildup of earwax unless they are using plugs in their ears, that doesn’t mean they aren’t prone to some concerns in the ear canal. One of the most common problems is known as swimmer’s ear and this is when an infection or fungus growth occurs in the ear canal. While cleaning their ears is important, swimmers ear has an additional concern, depending on how severe the infection has gotten. This is when the bacteria in the ear canal are untreated and the infection reaches the bone. Once that happens, antibiotics will be needed to help to fight the infection. Symptoms are generally ear pain with mild swelling and redness in the ear and canal. More advance infections can result in facial paralysis, sore throats and loss of voice. After swimming, it is important to remove the sand, water and other debris that may have ended up in the ear canal. Keeping it clean and dry reduces the risks that you face and ensures that you are less likely to experience this condition. When possible, you may also want to treat the ear with a 50/50 solution of hydrogen peroxide to ensure that any cuts in the ear are properly treated. This can help to reduce the bacteria and fungus that may have gotten into the area. 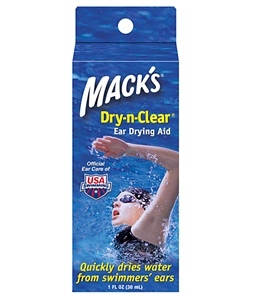 Another solution you can use is Dry and Clear that will remove water from the ear canal. If you are unable to drop into the pharmacy and to get this type of treatment for cleaning ears, you can use a home remedy of 50/50 solution of rubbing alcohol and vinegar. This will combat any infections and ensure that your ear quickly dries out. If you don’t have the rubbing alcohol, you can use vinegar in your ear alone. However, it is not recommended that you directly pour rubbing alcohol in your ear directly as it can burn, sting and have otherwise negative results. One thing to remember when you are cleaning ears is that you never use cotton swabs to solve the problem. What you might not realize is that this pushes the wax and buildup deeper into your ear. This increases the chance of infection and damage to the eardrum. Instead, if you feel like you have buildup, gentle rinse out the ear and using a drying solution to keep your ears in good health and to ensure that your ears stay in good health. With a little effort on your part, you will be able to keep your ears clean and in good shape. Since an infection can sideline you when you want to swim and even impact your balance, it is important that you continuously focus on good ear hygiene and stop an infection before it has a chance to start.